How to draw Jiroubou from Naruto Manga. 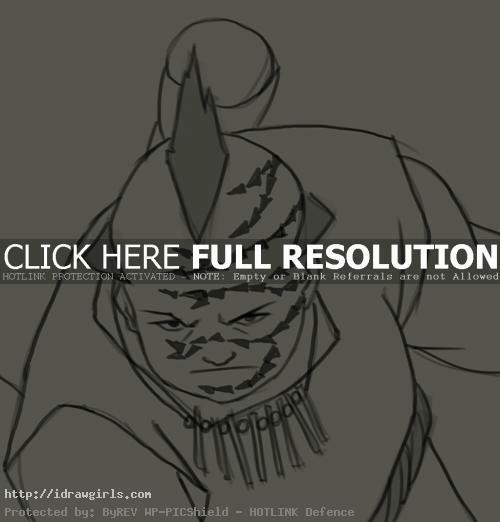 Learn how to draw Jiroubou from Naruto step by step basic Manga drawing lesson. Learn basic drawing and sketching technique for Manga, Anime and comics from TheArtClasses.com In this tutorial you will learn to draw an Manga character Jiroubou along with basic valuable art tips and technique. First, you can use simple geometry shapes to construct the basic Manga head and body. It will make your drawing process a lot easier once you get the shape and proportion right. No matter what you are trying to draw, once you understand its foundation, you can keep drawing detail on top of the base sketch at ease. You also have to make sure the shape of eyes, nose and mouth are correct. Not only the shapes, but also the placement of each element. It will make your drawing process a lot easier once you observe the over all shape of the character you are trying to draw. I usually start of using sphere or circle as a base for character’s head shape, then next step would be figuring out the next geometry form to fit into the image. Jiroubou is the weakest member of the Sound Four group. Don’t let this fool you! Although he is the weakest amongst them, that doesn’t mean he isn’t strong against other people. His power is unbelievable. He specializes in molding chakra as the rest of them. Because of his size he also has the ability to, like Chouji, increase his size and power but without a pill. Jiroubou is a tough fighter but he often, just like Chouji, gets hungry. When he IS hungry he has the ability to absorb another persons chakra. Here is a final drawing of Jiroubou from Naruto. 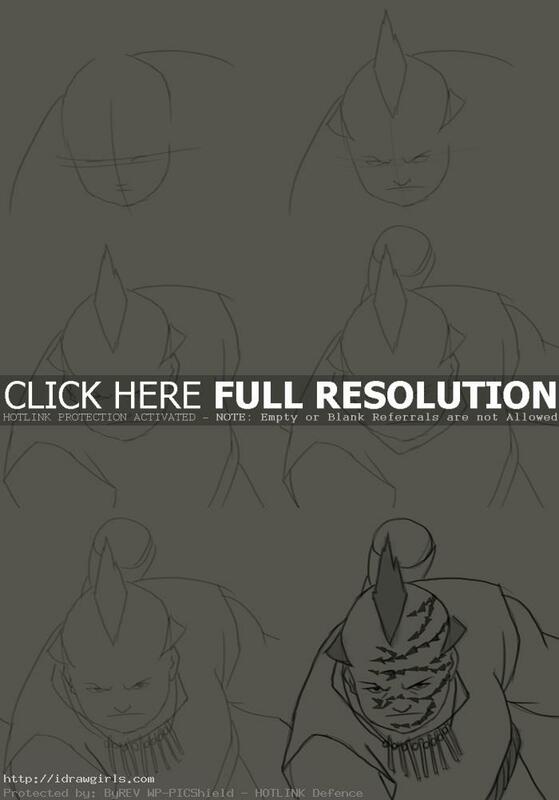 Below are step by step basic drawing lesson, learn to draw Jiroubou from Naruto. Step one, I just drew a regular basic head structure, but slightly wider horizontally this time. I then drew a vertical line from top to the bottom of the face. After that, I drew two horizontal lines across the middle the face. In this image, he is facing downward slightly. Both vertical and horizontal lines will help us construct his facial structure and more detail. Step two, Once I have his head constructed, I then added eyes, nose and mouth along the vertical and horizontal lines. Step three, I keep drew on top base sketch with detail and make sure all parts are at the most accurate positions. Then I drew in the hair style, headgear, and his big collars or scarf. Step four, I drew both eyes within the gap on the parallel horizontal lines.